Whether you have a lot of experience or are just getting started with a new camera, this online course will take you from novice to advanced photographer. You will learn professional techniques to develop and advance your photography skills. 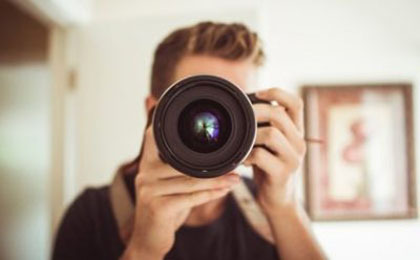 This online course covers the fundamentals of photography including everything on how the camera and lenses work as well as the technical aspect of photography like exposure, focus, depth, and more. The creative aspects of photography are covered in-depth and include lighting, composition, vision, depth of field, flash, and much more. No matter how much experience you have, this course will jump start you on a path to becoming an amazing photographer. If you have been frustrated with the results of your photography so far, then the first step is to join this course where you will learn to master your camera and develop a vision for your own personalized photography style. Whatever your passion in life, this course will provide you techniques to improve your photography no matter the subject. You will learn to compose your subject to tell the story you want and how to see and understand what the best light is for your subject. Did you know those camera settings are usually different in a nature photograph vs. a portrait photograph? You will gain the knowledge to master the settings on your camera, guiding you to choosing the best settings for your subject, whether it’s a nature photo or an outdoor portrait. I was formally trained at Brooks Institute in the 1980’s and have worked every day since. I have photographed for Fortune 500 companies, been published in countless magazines (you’ve probably heard of), and photographed Hollywood actors, pro athletes, politicians, hotels, top brand products, architecture, corporate and industry, and more people, places, and things, than I can recall. I have taught photo workshops across the USA and the Middle East. Founded two stock photo agencies, and sold thousands of stock photos. I love to teach and want to ensure you succeed and help you learn to love photography. You can trust me to teach you photography!